Toyota Kirloskar Motor (TKM) will launch its new sedan, the 2018 Toyota Yaris, in India on April 24. Dealerships in various parts of the country have confirmed that they have already begun accepting bookings for an amount ranging from Rs 50,000 to Rs 1 lakh. 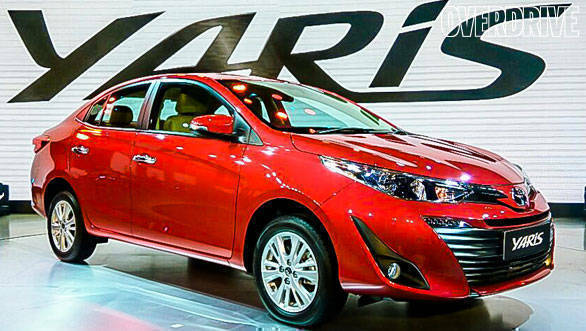 The dealerships OVERDRIVE spoke to have all confirmed that they will begin deliveries of the Toyota Yaris from April 24. 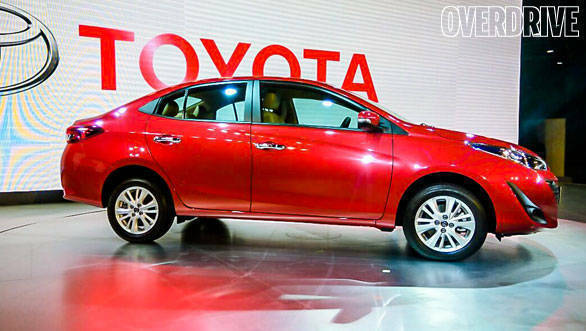 The B-high segment sedan, as Toyota refers to the Yaris, will take on popular premium sedans including the Honda City, Hyundai Verna, and Maruti Suzuki Ciaz. The 2018 Yaris was first showcased in India at the Auto Expo 2018 in February. Recently, the Yaris was also launched in the UAE, while a Yaris Cross hatchback version was also revealed internationally. Toyota is positioning the Yaris as a B-high segment vehicle, which will sit above the Toyota Etios and below the Toyota Corolla here. This positioning suggests that the price range of the Toyota Yaris will begin higher than the competition. Since the current pricing of higher-spec Etios variants also enters this segment, Toyota is well aware of some level of cannibalisation of the smaller sibling's market. 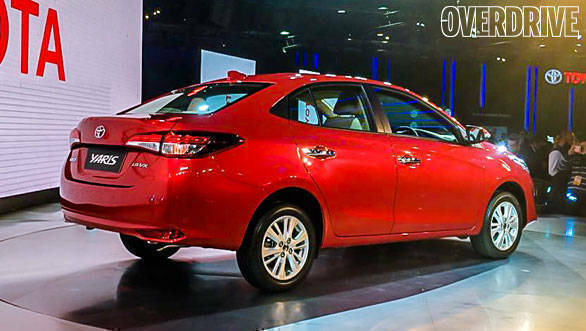 However, the Toyota Yaris is being touted as a value offering with a high level of safety and other features on offer as compared to the City, Verna, and Ciaz. The cabin in the Yaris looks quite youthful with a large instrumentation featuring analogue clocks and a 4.2-inch MID, a 7-inch touchscreen infotainment unit in the dash, a bolstered steering wheel and sleek air-conditioning vents. It will be interesting to see if Toyota goes with a sporty all-black layout for the cabin, or chooses a more popular black and beige combination for the India-spec Yaris sedan. Powertrain options for the Yaris are expected to be a 1.5l petrol engine and a 1.4l diesel. The 1.5l is expected to be based on the 2NR-FE motor that powers the Etios sedan, albeit with variable valve timing on the intake and exhaust ports. The engine is expected to produce 107PS and 140Nm of torque. The diesel option will be exclusive to India and will borrow the 1.4l D-4D drivetrain from the Corolla, in a similar 90PS/205Nm state of tune.